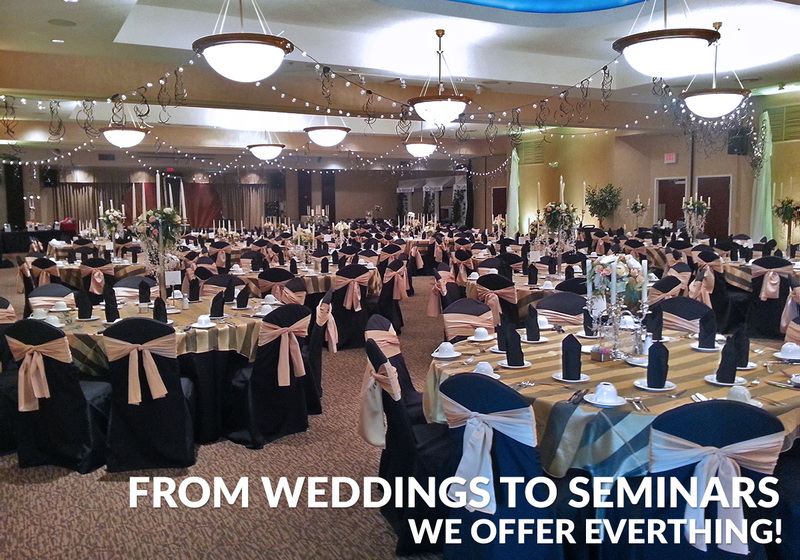 The Galaxy Banquet Center offers everything from a casual boardroom setting to full service capacities of up to 500 people. 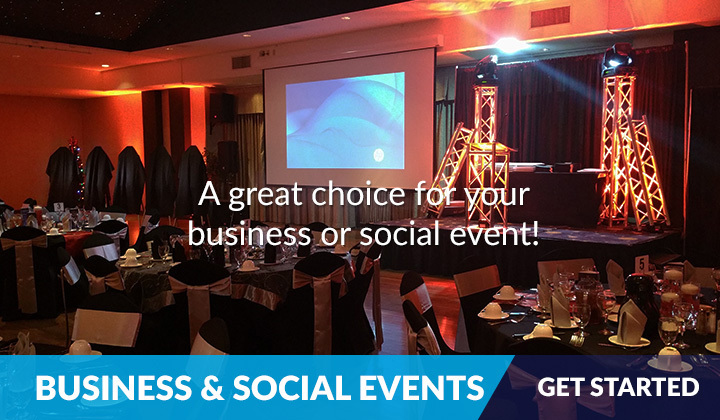 We offer 4 uniquely decorated rectangular-shaped rooms that make us the ideal choice for everything from business conferences, corporate events, meetings, and seminars to elegant wedding celebrations. Each room can be combined or separated depending on the size of the function. 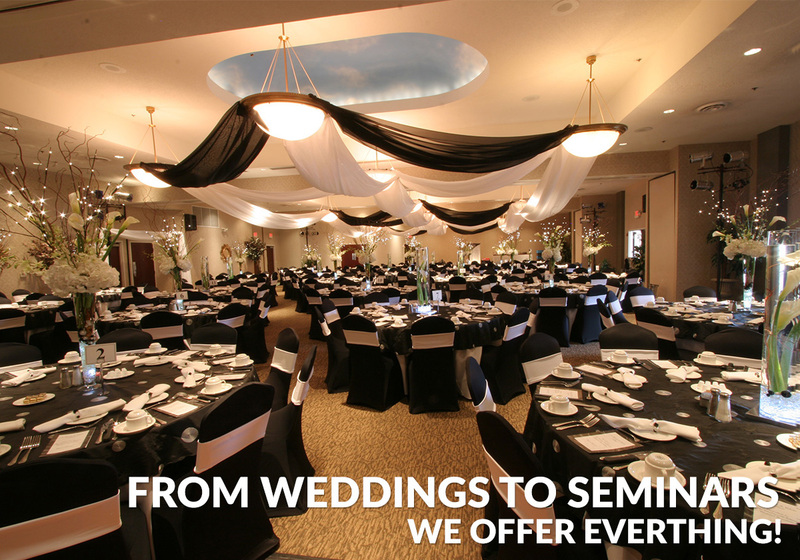 Starlit and cloud-scaped ceilings complement the elegant décor to provide an enchanting atmosphere for any event. 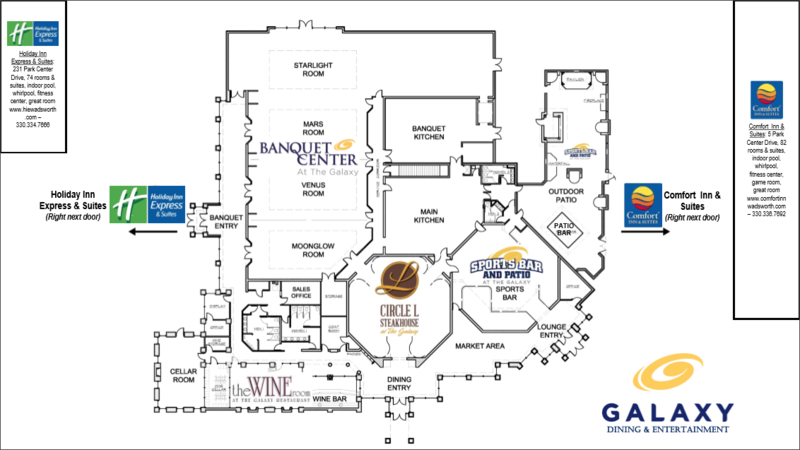 Moonglow - Venus - Mars - Starlight - Each room can be individually occupied or combined for larger events for groups from 20 to 500 people. Also, for smaller groups we offer our private Cellar Room which is great for groups from 10 to 35 people. 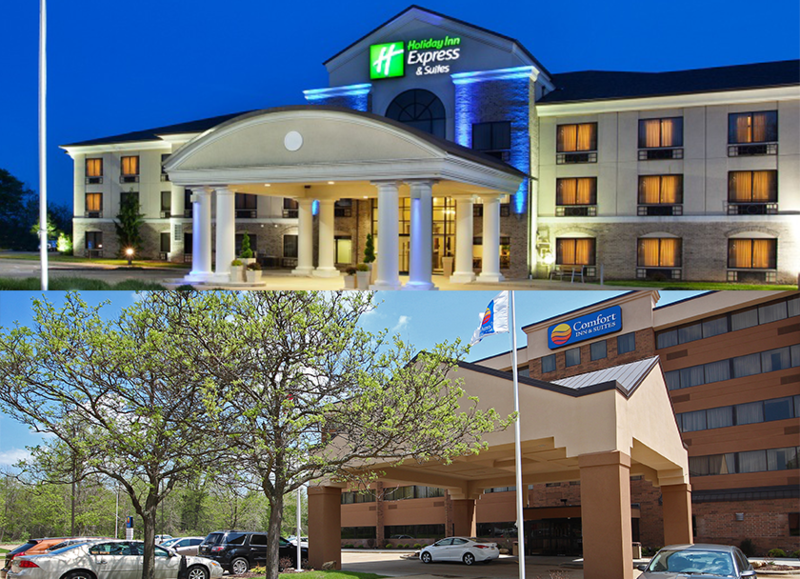 Hotel arrangements for weddings, business trips, and other special occasions is made easy with our Holiday Inn Express Hotel & Suites or Comfort Inn & Suites, both of which are conveniently located next to the Galaxy Banquet Center and restaurant. 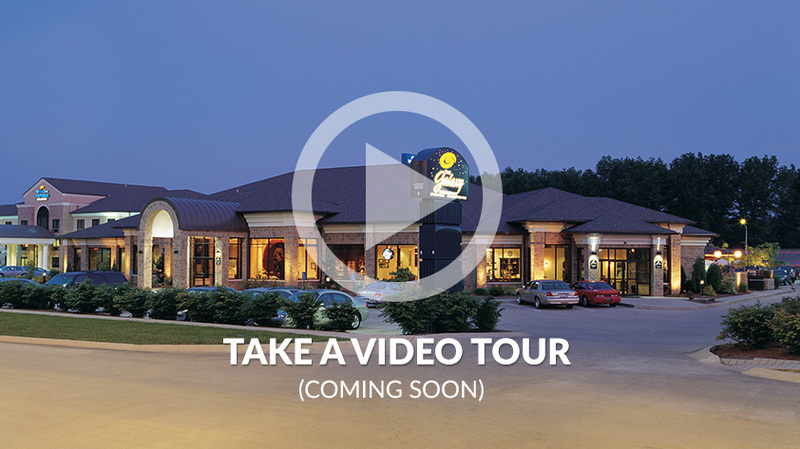 Both hotels feature comfortable guest rooms and suites, extensive fitness center, indoor pools, free wired and wireless high speed internet, complimentary breakfast, and room service from the Galaxy. 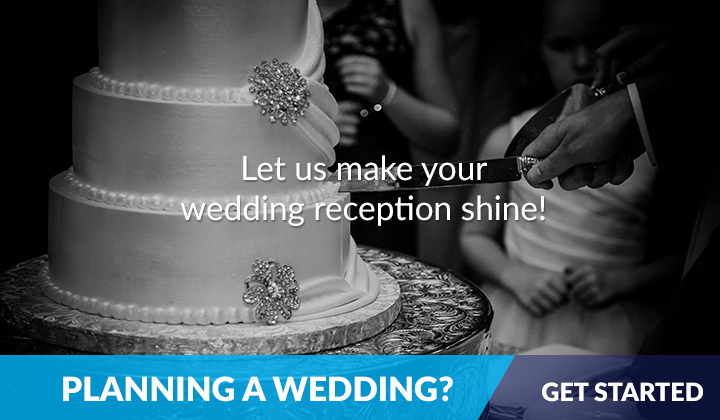 Our hotels offer plenty of pampering amenities to make your guests comfortable. 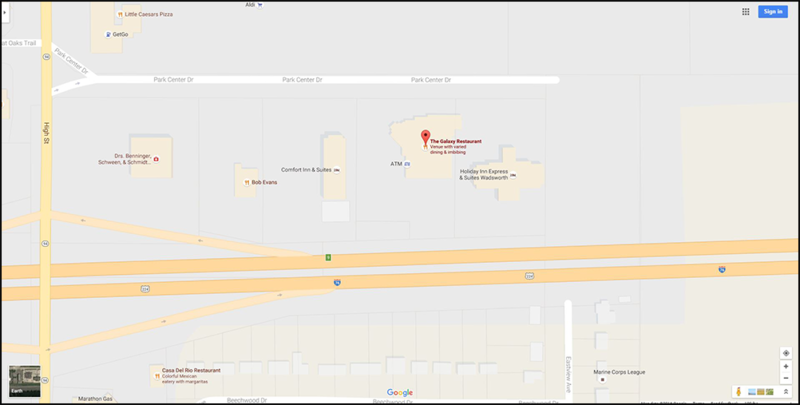 The Galaxy Banquet Center is conveniently located near the intersection of I-76 and SR 94 in Wadsworth, Ohio, near Akron. Be Sure To Visit Everything The Galaxy Has To Offer!